Things can get pretty crazy when you are a parent with a home to run. So many obligations, so many hats to wear, it can be hard to stay on top of things. I learned early on to run my home like a business. Having systems and organizational tools in place have really helped me to not get lost in the clutter of everyday life. Now, you all know me well enough by now to expect my tips to be silly simple. If it’s not easy I am not going to do it. My family command center is set up the same way. Don’t over think it and it will turn into a streamlined center where everything is dealt with in a quick and concise manner. It may not be pretty like all the ones you see on Pinterest, but I didn’t want pretty. I didn’t want to PAY for pretty. I wanted effective, efficient and easy to use by everyone in my family. 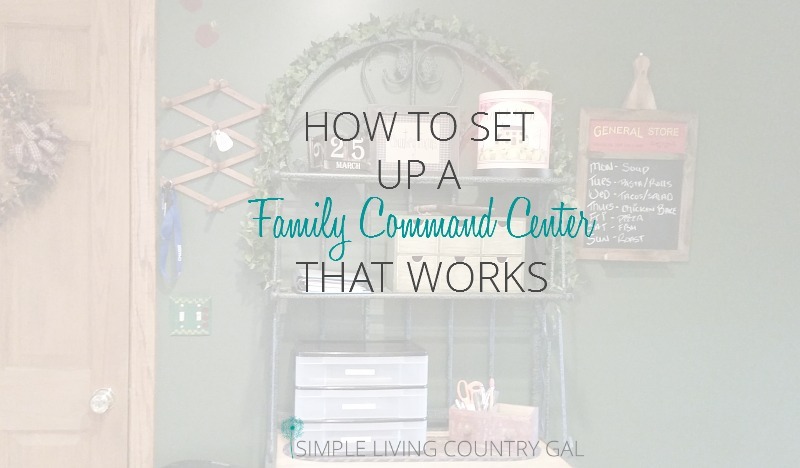 How to set up a family command center that truly works. Step #1 Choose an area that is accessible by all and easy to use. You want to pick someplace that is a visual reminder to everyone in the family. When our children were younger, our command center was in the kitchen. That for us was our hub, the heart of our home. Now our family command center is in my office. I spend the most time there so I am more able to access our command center and utilize it for the best results. Step #2 What are the main components you will need? Components are basically areas of your home that need daily attention. For our command center, our main components are our boys, our finances, and our schedule. I know as long as I have these 3 things under control at all times, nothing major is going to fall through the cracks. Step #3 Choose a system for each component that is efficient and effective. Boxes, drawers, baskets, binders select what is easiest for your family to use. Sure, you can make it pretty, but if they won’t use it, it won’t work. For my boys, a simple, labeled drawer works perfectly while my Hubby prefers a basket. Doesn’t match? Doesn’t matter. Remember, I am looking for efficient, not pretty. Not sure what you need? Get your free Family Command Center Worksheet to help you on your way! Step #4 Setting it all up. My first command center was on our bakers rack that everyone passed before they left the house. The visual reminder was all I needed to make this location perfect for our family. 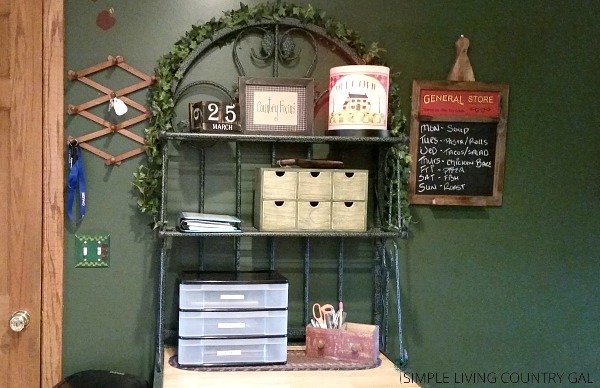 Drawers, baskets, weekly menu chalkboard, and a calendar. It was neat and uncluttered and worked perfectly. In the drawers of the baker’s rack, I kept incoming mail on the right and recipes for my weekly menu on the left. Every Friday is bill paying day, so that is when the mail drawer is sorted through and cleaned out. 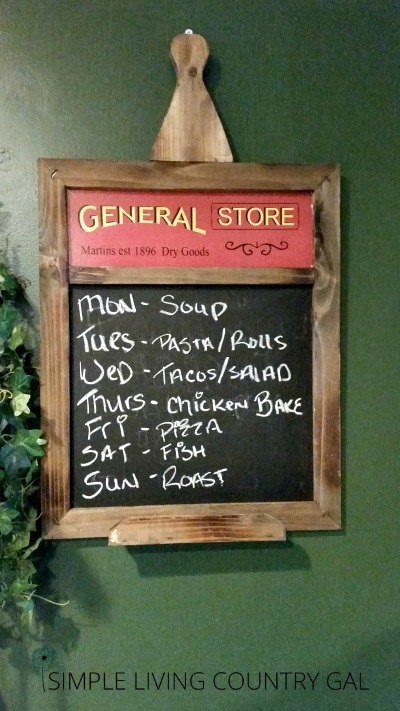 Sunday is meal planning day so that is when the recipe drawer and menu are updated for the week. Step #5 Teach your family to use the command center every single day. When my boys were younger, they were taught to check their drawers every time they left the house. That way I knew nothing was missed or overlooked. Inside of their drawers were signed papers for school, lunch money, excuses, and completed homework. As they grew older the contents changed but the system remained the same. 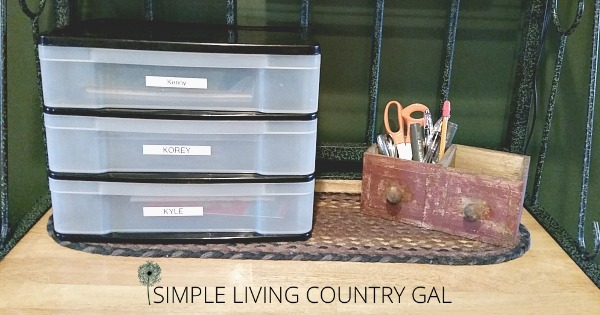 To ensure I used our command center regularly I would schedule drawer upkeep in my weekly planner. This was my reminder to sort through mail, replace recipes and give attention to important papers. Still today, most of my days begin and end with our command center. This really helps keep my schedule simple and efficient rather than overbooked and hectic. Step #6 Utilize your command center to its fullest potential. Don’t limit yourself on what can be done in your command center. Need to talk to hubby about a project? Drop a note in his basket. Does your child have a big game after school? “Good Luck!” Is a nice surprise that can be waiting inside of their drawer. Have a birthday coming up? Get the date in your planner along with gift ideas for your next shopping trip. Use this as your brain dump so you can focus on other things going on throughout the day. No one is productive with a cluttered mind. Step #7 Don’t stop there! If you find things are still not jiving, you can always add more areas to your center. A bill paying kit, greeting card binder, coupon bin, household notebook, recipe binder, cleaning schedules, reading tote, if you need it you can add it. The trick is deciding what is important to your family’s efficiency and keeping it all in one area for easy access. Having an effective and efficient family command center that is easy to use by everyone in your family will be a game changer. Keeping each person no matter what their age on the same page will not only save your sanity but keep your family from getting lost in the chaos of everyday life. Have less, do more, live simply! …truth be told, though, I’ NOT the organized one, Kathilynn is. Course, she’s also the smart one, talented one, creative one…. Luckily, I’m the pretty one. My wife is wayyyyyy gorgeous. ANYway…we have our kitchen organized for the massive creativity and artisan bread, cheeses, fermented goodies and baking bliss that happens around here. 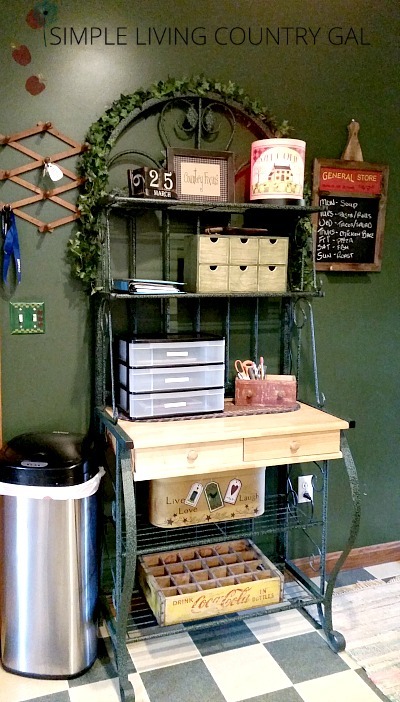 It’s kinda a food prep center—has all the recipes, books, instructions on where to find what ingredients both in the house and in the garage. Look forward to learning more from you, Tracy! I just adore kitchens that are full of cooking creativity!! Especially in the form of artisan bread…yummmm! Tracy, the commmand center is genius. It could really save me time in sending text and coordinating because everyone would know to look in one spot for their directives. Now to figure out where to establish my command center. Yes I don’t think I could run my home effectively without one. 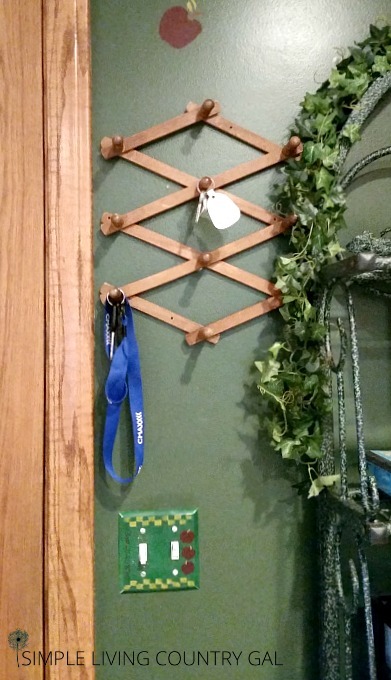 Keeps my kitchen from getting buried on the paper clutter! The day to day planning and execution , though most simple is the most challenging. You came up with an awesome game plan. Why didn’t I think of this simple idea before ? Oh wait a minute .. the idea had to be from that simple living country gal ! I giggled when I read your comment, you are so sweet! Thanks so much for stopping by. 🙂 Have an amazing day! I am so glad you liked it! 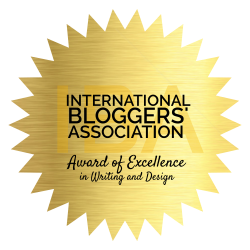 Thanks for the nomination 🙂 Love it!